NRD is the current prototype Architect/Engineer for Hardee’s Corporate, assisting in the development and maintenance of all current buildings. NRD has also worked with CKE’s sister brand, Carl’s Jr, in their international design program designing a high end stand alone building elevating the brand to superior levels in foreign countries. NRD values the long standing relationship it has had over the years with the corporate entity as well as personal relationships with the Franchisee community. We have completed countless free standing site adapts, remolds, and conversion projects over our relationship with them over the last 30 years. 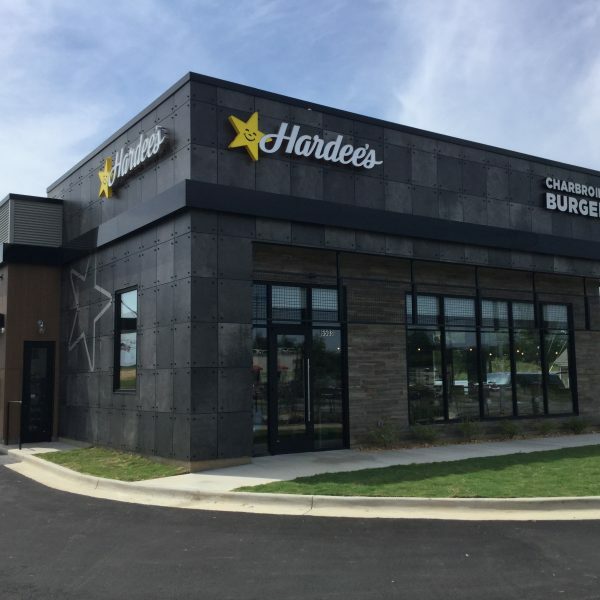 NRD is currently developing a new prototype designs and working closely with the Hardee’s and Carl’s Jr. team, including their equipment, décor, and signage suppliers.